For a while I have wanted to get back into shooting medium format film. I love the idea that I could produce stunning cosplay pieces in the future in medium format, the extra detail and rang it gives you is phenomenal and although I am a digital lover as my work starts to mature I feel the right move for me is into medium format film. For the Photography for your ears Phonar task I looked at the Work of Brian Finke, a photographer who only shoots in medium format. Square framing has become a tabboo within “professional” photographers over the last few years, Instagram being the main reason. Most people now relate square framing with repetitive generic images and cliche filters. So I think now is a better time than any to use medium format and break away from the modern conventions associated with square framing. 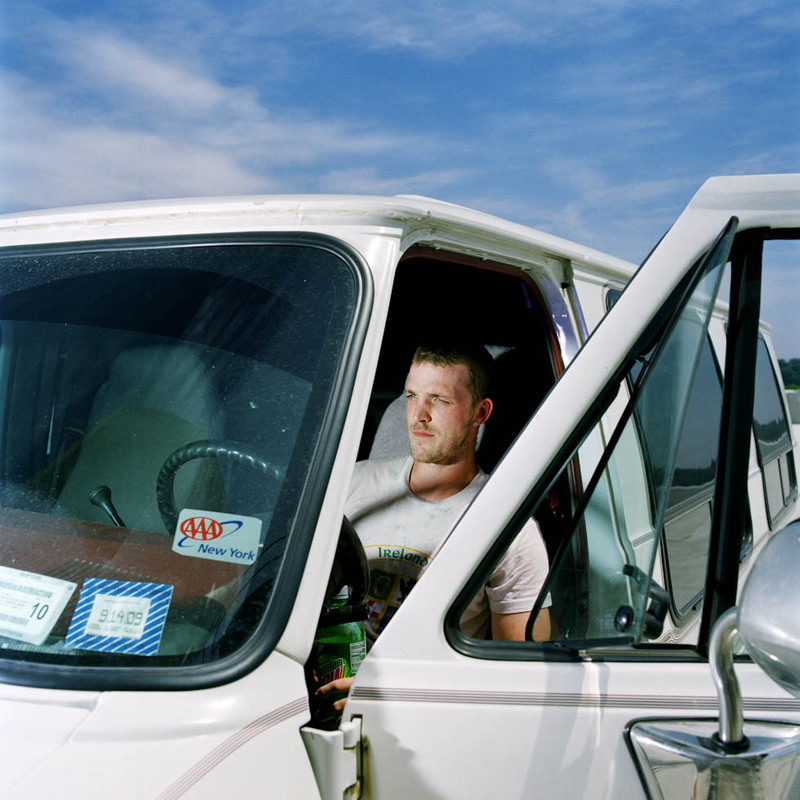 Brian Finkes use of medium format compliments the conventions of square framing. Finke’s use of subject reflect on pop culture in America reinforces the reputation of a square that CD covers and Andy Warhol helped established. My cosplay work is about pop culture in Japan and medium format is something I want to use in the future with this, not only because of it’s detail as i mentioned before but also because of the square framing it inherits. I also prefer the grain and depth of film and the chromogenic print, especially when viewed in a large scale, gallery environment.